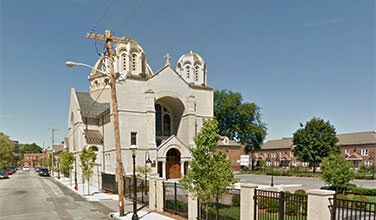 Erected in 1908, Holy Trinity – New England’s mother church and the country’s first Byzantine Greek edifice, was built to house Greek Orthodox worship in the United States. The Holy Trinity Church has become a source of pride and inspiration for the Hellenic-American population, and for all of Lowell as well. One of the city’s most visible and beautiful buildings situated in the historical neighborhood known as the “Acre”, the Holy Trinity church has received much local and national attention concerning its historical significance and role within the cultural rejuvenation of the city.